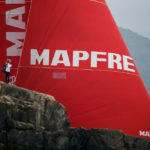 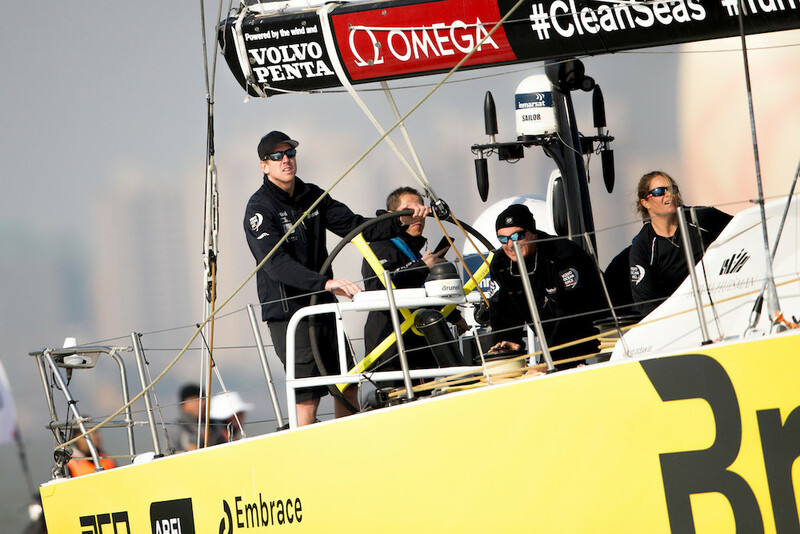 There is a new leader in the Volvo Ocean Race In-Port Race Series, after MAPFRE won the Dongfeng In-Port Race in Guangzhou, China on Saturday afternoon. 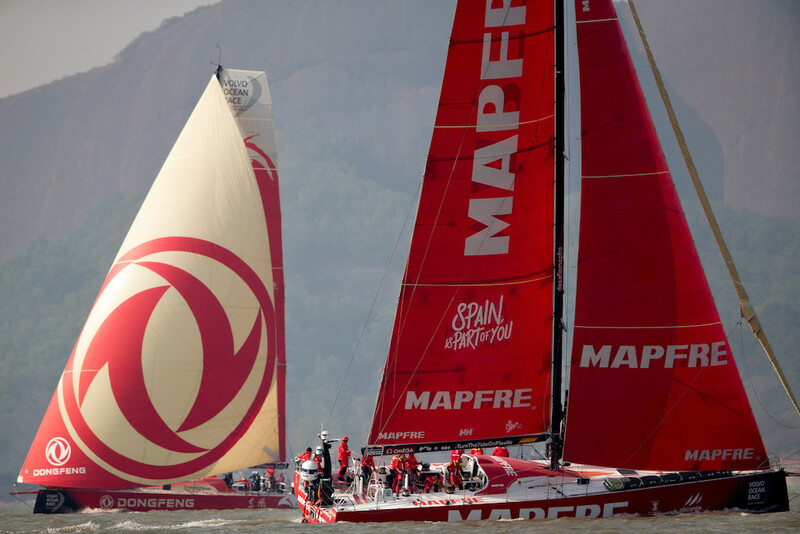 The win puts the Spanish race leader alone at the top of the In-Port Race Series leaderboard, after a wire to wire win. Arrivals in Guangzhou. 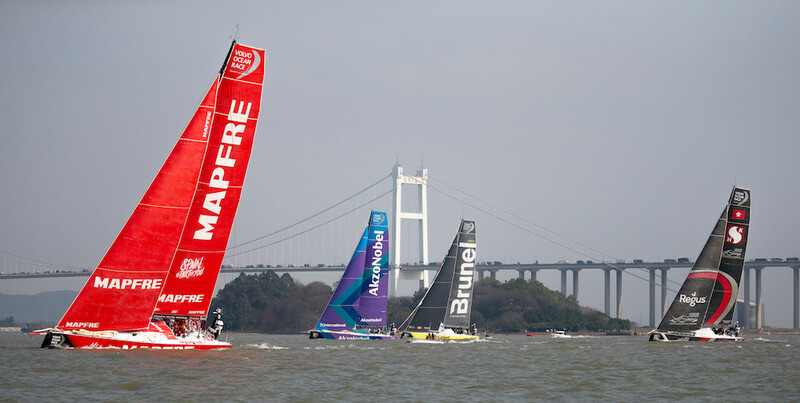 01 February, 2018. 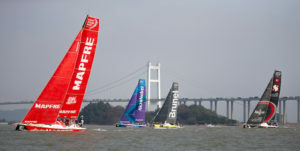 It was a more challenging afternoon for the hometown heroes on Dongfeng Race Team, who were over the starting line early, along with SHK/Scallywag. But while Scallywag returned to re-start cleanly, Dongfeng found itself tangled up with the anchor line for the start mark – by the time they were free the rest of the fleet was hundreds of metres up the course. 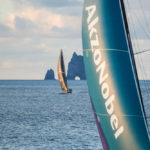 While MAPFRE started well and extended away for the win, there was a real battle for second place between Team Brunel, with America’s Cup winner Peter Burling on the helm, and team AkzoNobel. 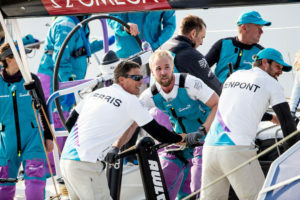 The pair switched places time and again on the first three laps of the course, before Burling and Brunel extended slightly on the last upwind leg to gain some comfort on the final run to the finish. 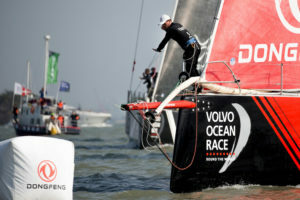 Scallywag, who were third at the first top mark, fell to Brunel on the first run and then had fourth place to themselves the rest of the way. 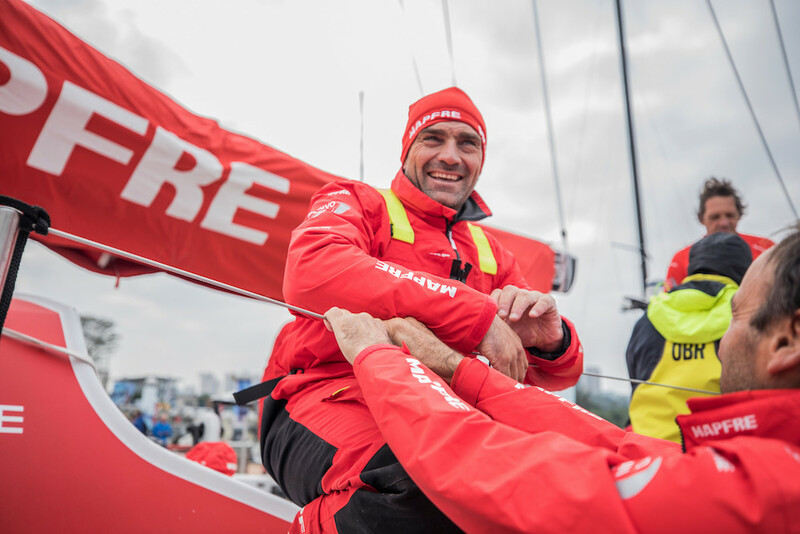 Meanwhile, Dongfeng Race Team was making every effort to pick up at least one position before the finish. 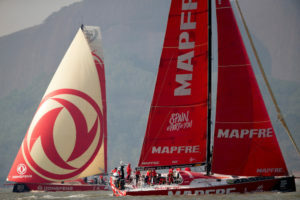 The gap with Turn the Tide on Plastic narrowed on each leg, but in the end, Dee Caffari was able to hold off the late charge and secure fifth place, leaving Dongfeng in sixth. 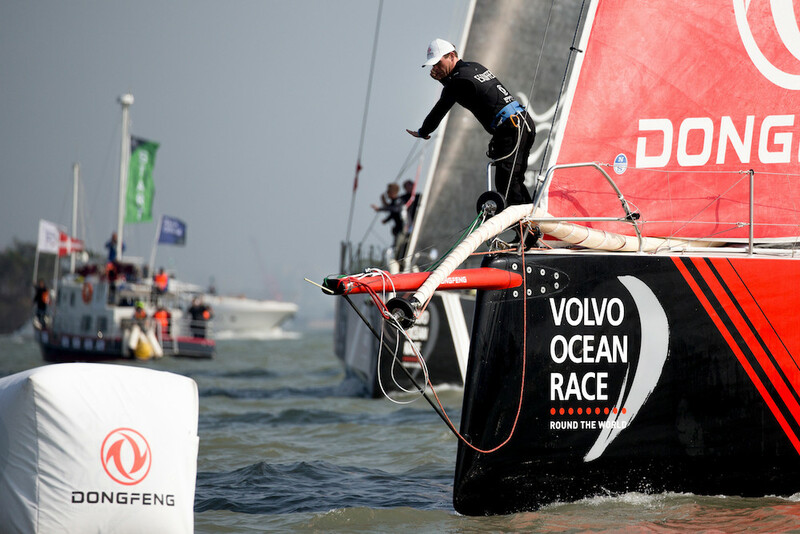 The fleet will depart Guangzhou on Monday for Auckland, with a short stop scheduled in Hong Kong before a re-start on Wednesday February 7 at 1300 local time (0500 UTC).